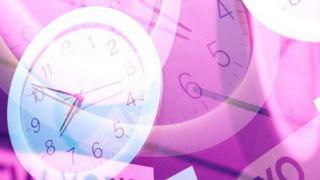 A Facebook engineer has invented a new unit of time called a flick. The flick has been designed to help developers keep video effects in sync, according to a description on the code-sharing site GitHub. A flick, derived from "frame-tick", is 1/705,600,000 of a second - the next unit of time after a nanosecond. A researcher at Oxford University said the flick wouldn't have much general impact but may help create better virtual reality experiences. Flicks are defined in the programming language C++, which is used to generate visual effects for film, television and other media. Flicks give programmers a way to measure the time between media frames without using fractions. Matt Hammond, lead research engineer at BBC Research and Development, said this can reduce errors such as stutters in graphics. "When the numbers used are not integers, errors can gradually creep into computer calculations. These errors can build up over time, eventually causing inaccuracies that become noticeable," he said. Flick's creator, Christopher Horvath, publicly shared his idea on Facebook in early 2017, according to the GitHub description. He then made modifications to the new measurement based on feedback from comments. The Oxford University researcher, who asked not to be identified, said that flicks may help virtual reality developers deal with latency, or delay. "Very often in academic literature, you have this notion of presence and immersion," he told the BBC. "Immersion is the engagement you feel with a computer game. Presence is the notion of your brain feeling that you are there. "Presence is very, very easy to break. I think perhaps a very fixed way of describing these time steps allows for developers to have a bit more flexibility in dealing with latency issues and making sure videos stay in sync." A flick is not the first unit of time designed by a major corporation. Swatch introduced Internet Time in 1998, which divides the day into 1,000 ".beats". The measurement - equal to one minute and 26.4 seconds - was designed to eliminate the need for time zones. It has not caught on globally.